Analysing other worlds to shed new light on your own is nothing new, writes Carat’s Gavin Ashcroft in this guest op-ed, but we fail to learn much from each other because good collaboration is such a rare thing. It wasn’t a conscious decision but I found myself a day and half and about eight sessions into the Cannes Lions Festival of Creativity without having attended a media driven presentation. I had been drawn to presentations about building a solar-powered plane capable of flying non-stop around the world, about how to develop and produce TV programs and to a presentation about what we can all learn from Vegas. As I write this at the end of a hectic, stimulating and tiring week I would only call two of the 15 presentations I attended media presentations. You know what? I feel all the better for it, reinvigorated by what I have learned from other industries and other parts of our industry. Solar Impulse is a French aviation company that has developed a solar-powered plane. They spoke to innovation and creativity both in design and business. They had me captivated for 45 minutes and more determined than ever to release our teams from the shackles of certitude that at once limit risk and stymie creativity. I was inspired by the sense of adventure and want more of this for myself and our business. Building a culture that is always striving for more, always pushing boundaries and has a hunger for adventure. This continues to be my number one focus and I come back from Cannes with renewed energy. As Betrand Piccard (founder/co-pilot) mentions in his presentation, when you are satisfied with something, you are in the danger zone. We can all learn something from Vegas, having recently been for the first time I had a few ideas of my own. Make sure you stick to your budget at the tables and don’t get carried away with the free drinks (otherwise you have no chance of sticking to your budget…) seem like sensible universal lessons. However, Vegas is more than a hedonistic long weekend, it is also a best in class example of leveraging data. In Vegas, real-time can be the right time all of the time because once you set foot on the strip you exist in the ‘economy of now’. The time vortex bubble where your every move is being tracked by the casino/hotel. By using adaptive behavioural analysis techniques your next move is being forecast. The casino chains have this down pat, they can even forecast your loss tolerance in real time and if you have one loss too many they quickly send you a voucher for a free dinner at the hotel to get you back on track and enjoying yourself again. I didn’t know if I should give a standing ovation or run out of the auditorium screaming. Impressive and terrifying stuff. The technique of analysing ‘other worlds’ to hopefully shed new light on your own is nothing new but my recent experience at Cannes does bring into sharp focus that we have so much to learn from each other in our own marketing world. We fail to do so because good collaboration is such a rare thing. By good collaboration I mean collaboration without motive and without ego. Collaboration that is singularly focused on the client result and the quality of the work. Yes, I am referring to that utopian promise we all make to ourselves and to each other so often. That utopia that is always just out of our grasp. Perhaps good collaboration is always just out of our grasp due to basic human nature (how depressing). I prefer to take a more optimistic view. The convergent landscape has brought clients, agencies and the media closer together than ever before as we manage increasingly complex communications ecosystems. These ecosystems must connect seamlessly no matter who is responsible for which part. To be successful in this landscape we will not only need to be in command of the convergent landscape but we will also have to play nice. how can we work together better? To do this we must have confidence in what we bring to the table and confidence in our point of view and expertise. We must also be confident enough to let go and appreciate the expertise of others, rather than fear it. Until we can all do this we aren’t really playing nice are we? If we don’t try harder Utopia might just get further away, which is a shame as I have heard they serve great cocktails. 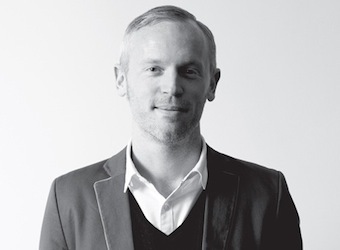 Gavin Ashcroft is Carat’s chief strategy officer.